KAMPALA – Government through the Ministry of Health has secured Shs7.94b from the World Bank set to train 720 health workers from across the country under a scholarship programme. 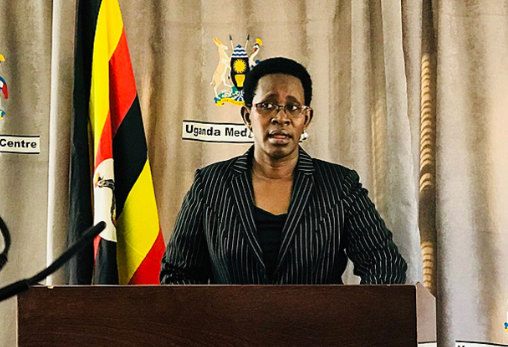 Speaking at the signing of scholarship agreements at Ministry of Health headquarters in Kampala on Friday, Dr Diana Atwine, the permanent secretary Ministry of Health, said these scholarships aim at improving the quality of health services and care. “It is not about accountability or showing numbers but transforming the health sector. We need our people to access quality care when they need it at all times especially maternal care. It is about quality and not numbers,” Dr Atwine said. The scholarships are intended to improve skills in the provision of reproductive, Maternal, Neonatal, Child and Adolescent Health Services offering courses such as Masters in Anaesthesia, Paediatrics, Bachelors in Anaesthesia and BioMedical Engineering among others. Health workers in government hospitals wanting to upgrade stood a higher chance of earning the scholarships. Dr Atwine urged health workers to always endeavour to handle patients with care and integrity for life has no spare parts. “The profession you are dealing with is unique and must give everything within us to serve. Change the notion people have towards health workers, understand the value of life. Bring back care in our health facilities,” she added. Mr Ronald Gyagenda, the under sectary Ministry of Health, added that health workers should serve Ugandans with passion for they pay them through taxes. “Ugandans owe you. Always remember that. For example, government borrowed money to fund these scholarship but Ugandans are going to pay inform of taxes so have value for money,” Mr Gyagenda said. The Ministry of health assured health personals undertaking programs of the availability of jobs. “There are jobs actually about 40 per cent across the country. Once this training is done there will be jobs available for them especially at health centre IV and III,” Dr Stephen Okiror the commissioner human resource management at the ministry said.